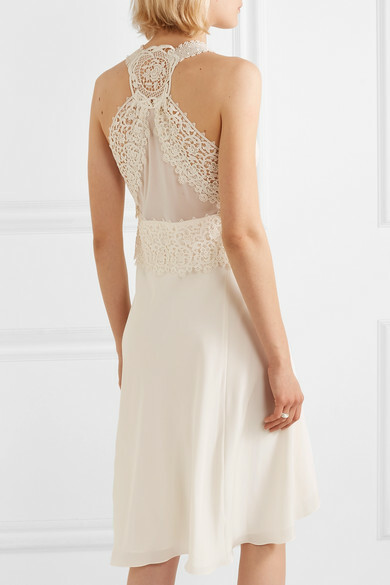 Victoria Beckham's dress is perfect for wearing to garden parties, or even as a low-key bridal option. 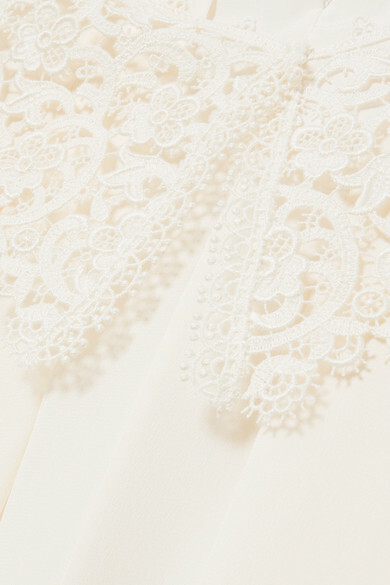 It's made from silk-chiffon in a flowing silhouette that's tempered by lace trims. 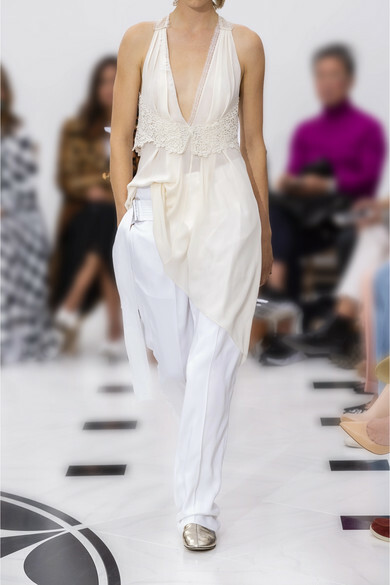 Edie Campbell wore it on the label's Spring '19 runway with wide-leg pants - try tucking the asymmetric hem into them. Outfit 1: Joseph Pants, Victoria Beckham Shoulder bag, Proenza Schouler Pumps, Sophie Buhai Ring. Outfit 2: Loewe Shoulder bag, The Row Sandals.